A user-friendly set of tools can support behavioral health workers’ integrated decision-making in real time. 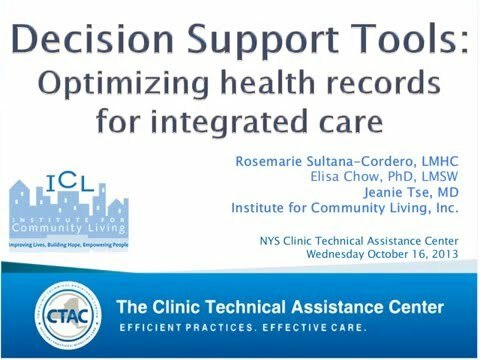 Developed by ICL, the tools can be adapted and incorporated into electronic or paper health records. These risk identification tools work to bring together a multidisciplinary team and send the message that health integration is a part of agency culture and services.